Does Round Hill have a local history group? Re-start one! Enlarge by clicking on the "+" icon near the top left of the screen. Side by side maps: "OS 1892" and "Now"
1898 map from National Library of Scotland. Not for commercial use. Credit line 'Reproduced with the permission of the National Library of Scotland'. Tower Hill Mill 1838-1913; Princes Crescent and Wakefield Road accesses are there, but not named; little housing: a few villas to S; construction of Kemptown branchline not started until 1866. Crescent Road and Roundhill Crescent added; Richmond Road and Princes Road yet to appear. It looks as if Brighton & Sussex Laundry Works is already there. The pathway beside it meets both Lewes Road and the west end of Roundhill Crescent i.e. not D'Aubigny Road - yet D'Aubigny Road is in Folhorps 1864 street directory with no houses yet built. The Kemptown branchline, opened by Brighton and South Coast Railway on Monday 2nd August 1869 is now shown, though Lewes Road Station (to the back of where Richmond House is now) was not opened until 1873, actually coming into existence before London Road Brighton Station on the Brighton to Lewes line. The site of the terrace at the east end of Roundhill Crescent is shown (now numbered 101–113 and grade II listed), though it was built between 1865 and 1885. Brighton & Sussex Laundry Works is still present, the far end pointing NE towards the newly constructed railway viaduct. Note also the properties at the south end of Roundhiil Crescent and the one in the middle. There were still many vacant plots to build on. The large four-storey villas now on Richmond Road between the junctions of Crescent Road and Mayo Road appear in both 1867 maps. As well as showing 55 & 57 Princes Road, this map shows Princes Villa on the NW corner of Crescent Road, which was built one year earlier in 1866 by James Stapleton who owned an eating-house in North Road. The Saunders 1867 map does not mark the villa in words which are not very precise in showing its location. The 1871 Census records the villa as being in Princes Road, although it is marked as No 2 Crescent Road from 1890 in street directories. City Books in Western Road (in the Brunswick area of Brighton and Hove) probably carries a better range of local history materials than any other bookshop in our city. These are displayed in the shop's basement. Alternatively, many titles can be borrowed from the local library. Rose Hill to Roundhill: a Brighton Community £9.99 ISBN 1-90 1454-08-8, published by Brighton Books and written mainly by Round Hilll residents, is available online from Brighton Town Press Books. The Encyclopaedia of Brighton by Timothy Carder ISBN 086 147 3159 [East Sussex County Libraries] is an excellent reference book (with a number of entries on Round Hill). QueenSpark Books and Brighton Town Press specialise in publishing books about Brighton and Hove, mostly written by local residents. The Town Beehive - A Young Girl's Lot Brighton 1910-1934 is written by Daisy Noakes who grew up in Princes Road opposite the windmill to the north of Belton Road. More on Daisy Noakes can be viewed at www.mybrightonandhove.org.uk/category/daisy_noakes. Living in Brighton during the 1980s - this history site, created in 2005 by Pam Blackman (a former Princes Road resident) includes profiles of two well known Round Hill residents: one is a long-term resident in Princes Road and another is still very active within The Round Hill Society which he was instrumental in creating over 17 years ago. The history of Round Hill, as told by us 30+ articles in history section. Within this section is the article The Road to Round Hill by Andrew Partington, which traces the plans to make Round Hill a built area dating back to 1826 with the involvement of Thomas Read Kemp who also laid down the early plans for Kemp Town. Rose Hill Park (i.e. old Round Hill): Rose Hill Villa built in the 1840s. Advertisement in Bankers Circular, Saturday 24th June 1854 (see top right of newspaper page) selling the picturesque portion of the valuable Roundhill Park Estate situated on the Ditchling Road and admirably adapted for villa residences commanding splendid views of the sea, the town, the race course, the downs and surrounding countryside. Click on picture below for 15 min video of the branch line which went through Round Hill. Click here for picture of the railway cottage on the Centenary Industrial state on the site purchased by Billings and Hathaway as well as the signal box on the border with the most northerly corner of the Carelet site. Click on "the year" to go to the street directory for Princes Road. The streets of Brighton and Hove website provides an alphabetical index allowing you to check when particular streets were re-numbered. You will discover, for example, that Richmond Road was re-numbered on 20th April 1881, as was D'Aubigny Road. Do not assume that houses were not built on the basis of street numbers. They might have been listed in street directories under a different house number than they were given when renumbering took place. Post Office & Other Directories for Sussex University of Leicester. have full page advertisements giving details of the services offered by Round Hill businesses such as Brighton & Sussex Laundry Works Lewes Road Brighton. You can find a picture showing the front of this laundry at the junction of Upper Lewes Road and the Vogue Gyratory (now part of Sainsbury) on page 35 of Rose Hill to Roundhill: a Brighton Community £9.99 ISBN 1-90 1454-08-8. 8 households in Richmond Road. Hill House belonging to John Cheal (now known as the flint house at 50 Princes Road extending southwards into The Copse) as both unnumbered and the only house in Princes Road. However, Nos 55 and 57 date from 1867. The Street Directory for 1883 shows 18 households with other houses building in Princes Road. Number 36, which could be regarded as an outbuilding of Princes Villa is occupied by Mr James Stapleton. Hill Cottage had been re-numbered as number 48 and was now owned by Anne Cheal (I assume the widow of John Cheal), although it was number 1 in The Street Directory for 1880. The latest version of the FreeCen site gives access to the 1841 1851 1861 1871 1881 and 1891 population census and allows you to link to individual records. The older version of FREECEN is a little more difficult to access. However, once you have found the record for a particular household in a particular street, you can go forward from there to the neighbouring household or back to the previous one. Here are some tips on how to do this:You will know some previous residents' names after looking at old street directories. E.G. James Towner lived at 1 D'Aubigny Rd in 1891. You will gather data on everybody living in D'Aubigny Road in 1891, including servants. When all NEXT HOUSEHOLDS are exhausted, you will find that you are then viewing Ashdown Road. But if you start by clicking PREVIOUS HOUSEHOLD, you will be viewing data from Wakefield Road. You can vary the above study by changing the YEAR of the census to 1871. You will then find that in 1871, James Towner was aged 41, a builder, living at 14 Lewes Road. In your original 1891 study, he is 61 and living at 1 D'Aubigny Road, still with his wife Jane Towner (of the same age). James' and Jane's decision to move to D'Aubigny Road in 1881 may have been motivated by the work James was already doing in that street as a builder. He was involved in the construction of several homes there between 1878 and 1895. Ashdown Road | Belton Road | Crescent Road | D'Aubigny Road | Ditchling Road | Princes Crescent | Princes Road | Richmond Road | Roundhill Crescent | Roundhill Road | Roundhill Street | Upper Lewes Road | Wakefield Road | Lewes Road Dispensary incl 101 RHC. By searching The Keep's historical records you can find when most of houses in D'Aubigny Road were built and the names of the builder(s). An 1864 street directory returns a record that there were no houses in D'Aubigny Road then. An 1871 street directory mentions a lodging house in D'Aubigny Road - Viaduct house, run by J. Fuller - though this could possibly be accommodation for railway construction workers. Viaduct house gets no further mention in subsequent street directories. 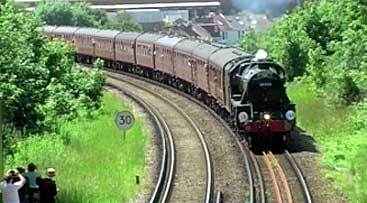 Note that The Kemp Town branchline was opened in 1869 and Lewes Road Station added to the route in 1873. Possibly there was a temporary need to accommodate those working on this ambitious project. Who built the houses now in D'Aubigny Road? 14 D'Aubigny Rd station master's house 16 May 1895 / London Brighton & South Coast Railway / Coo. The summary info can be viewed free, though the detailed info requires payment. Go to www.brighton-hove.gov.uk/content/planning/heritage/local-list-heritage-assets and click on a letter A-Y, which may be the initial letter of a building, place or street. Note that this is not the same as the National List i.e. the records of listed buildings for which Historic England is responsible. Note too: Specific thematic criteria have been produced for street lighting (PDF 1.2MB) and letterboxes [PDF 478kb] . The Kemp Town Society - Kemp Town is the estate conceived and built by the visionary Thomas Kemp from 1823 until 1850. The Brighton Society aims to conserve and improve the amenities of Brighton & Hove. Members encourage the preservation of architecturally and historically interesting buildings, and value the individual character of local neighbourhoods with their particular look and feel. Regency Square Area Society- read about Central Brighton's squares. The Regency Society- involves itself in Brighton and Hove's controversial planning proposals. The Stanmer Preservation Society was founded in 1971 and is a charity committed to improving, protecting and preserving the village of Stanmer and its environment for the benefit of the public. The content is appropriately credited. This is usually the 'Royal Pavilion & Museums, Brighton & Hove' but is clarified in the Rights Info information that accompanies each item. Any content which re-uses this material is offered for re-use on the same shareable terms ie. it should not be charged for. Does Round Hill have a local History Group? We used to have one, but the Round Hill Local History Group was disbanded after their success in producing the book Rose Hill to Roundhill: a Brighton Community £9.99 ISBN 1-90 1454-08-8. Residents from The Triangle Community Group have also been involved in A People's History of The Level which involving the recollections of older residents on how The Level used to be. The project culminated in a 'community oral history project' exhibition, which was displayed in one of the new buildings within The Level. My Brighton and Hove and Community Publishers QueenSpark were both involved the Letter in the Attic project which ran from 2007 to 2008. This local history project was designed to show the historical value of everyday writings, such as letters and diaries. The experience of groups which have met in the past demonstrates the value of defining projects and purposes i.e. working towards a goal! The Round Hill History Group, which disbanded in 2004. When they set themselves the purpose of producing the book Rose Hill to Roundhill: a Brighton Community they divided up the work. The Triangle History Group recognised that it is natural to take a special interest in ones own street and also involved itself both in archiving things in local residents' possession and working towards the output of an exhibition: A People's History of The Level. Both groups recognised that the memories of human-beings are valuable sources of information. Interviewing of residents with long memories (older ones!) has formed part of both Rose Hill to Roundhill: a Brighton Community and A People's History of The Level. There is value in setting dates (e.g. the first Tuesday in each month) for regular meetings in terms of momentum, belonging, and continuity. However, alternatives are needed for neighbours who are enthusiastic, but cannot manage regular meetings. Given all Brighton has to offer, some neighbours are likely to attend many meetings already; others may need to give prior consideration to family responsibilities / job hours etc. These allow both content creation and viewing what others have posted or shared. Suggest a purpose and do it! Purposes, such as researching the early history of the buildings in ones own street, have a good chance of meeting with a response from neighbours. There is nothing to prevent individual or team efforts from progressing. Close neighbours are already likely to meet face-to-face. A stipulation that all the conversation (e.g. at a coffee morning) has to be about Local History would be artificial. However, any project which has generated enthusiasm should earn itself air-time. The Round Hill Reporter, our quarterly printed magazine, edited by Rob Stephenson. The Round Hill Society's AGM (usually in the autumn at a public venue): presentation, slides, video, temporary exhibition.